Mirah Belle introduces unadulterated, pure fragrance oils that improve the health of your skin, hair and body. These 100% Pure Essential Oils offer a variety of benefits from cosmetic, dietary purposes and are known for their healing effects mentally, physically and emotionally. 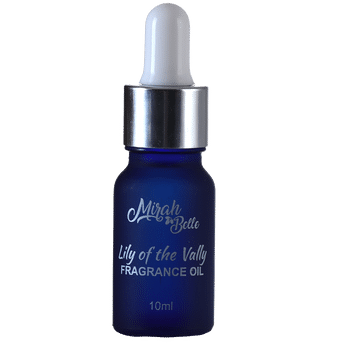 Mirah Belle's Lily of the Valley Fragrance Oil has amazing health benefits. Also commonly called Fairy Cups, it has diuretic and purgative properties and it is great for the heart. Treats various heart ailments, helps lighten scars, prevents acne and wrinkles.